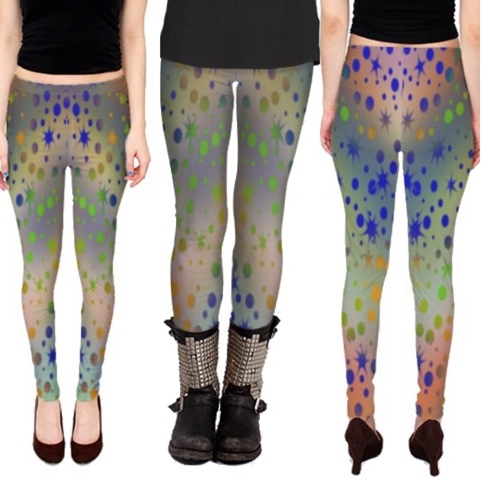 Posting some new leggings listings this week, so I thought I'd come share! 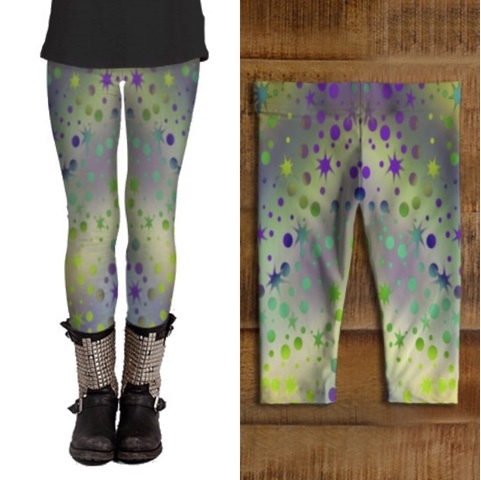 Loving the galactic stars design, especially in the purple / green palette! For a more subdued look, the stars look great in silver as well! 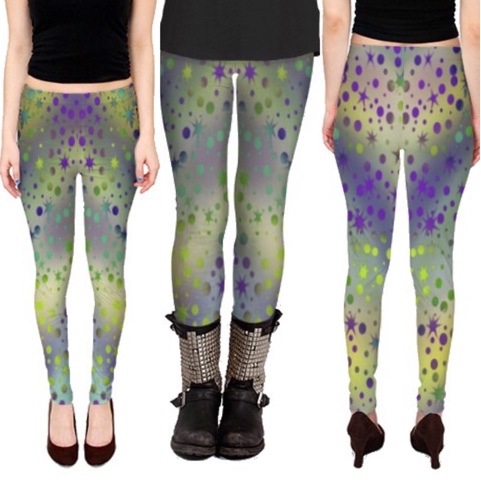 As always, my leggings are also available in baby sizes 6 months to 3 years! Think how cute matching mommy and me outfits could be! Stop by felicianationink.etsy.com today to order yours!